How Can B Complex Vitamins Help Me? - Doctor Hermann M.D.,P.A. 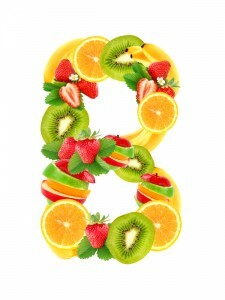 B vitamins are a family of water-soluble vitamins that play critical roles in metabolism and biochemistry. They represent the most common vitamins utilized by the body as cofactors for facilitating enzymatic function. Our modern refined diet has lead to lower levels of B vitamins. High levels of stress and many medications may lower B vitamin levels. These vitamins have therapeutic power when taken together – their various functions are outlined below. Thiamin (vitamin B1) is needed for energy production, nervous system functioning and heart health. Riboflavin (vitamin B2) helps the body turn food into energy. It is also a powerful antioxidant. Niacin (vitamin B3) aids the body in metabolizing food (proteins, fats, carbohydrates) into energy. It is also a powerful antioxidant. Vitamin B6 plays important roles in amino acid metabolism, hemoglobin production, helps modulate blood sugar and aids in efficient functioning of the nervous and immune systems. Folate is essential in carbon metabolism and deficiency can be associated with neural tube defects, certain cancers and hyperhomocysteinemia. Vitamin B12 has been found useful in the treatment of asthma, depression and mental wellness. Vegetarian are particularly susceptible to low B 12, as it is found exclusively in animal products. Biotin can strengthen nails, lower blood sugar and insulin and support weight loss. It may also aid in alleviating diabetic neuropathy. Pantothenic acid (previously known as vitamin B5) helps with immune function, energy generation, and the production of stress hormones. Hermann Wellness, a holistic internal medicine practice, offers comprehensive vitamin and mineral testing. Locations are maintained in Tampa and Saint Petersburg, Florida. Please contact the office at (813) 902-9559 for more information or to schedule an appointment.